The Winzz EGM100-S Mini Electric Guitar is built with children in mind. It is built with durable, high-quality solid wood body, Maplewood neck, and a Maplewood fingerboard. The EGM100-S features a chrome die-cast machine head, volume control and a single coil. 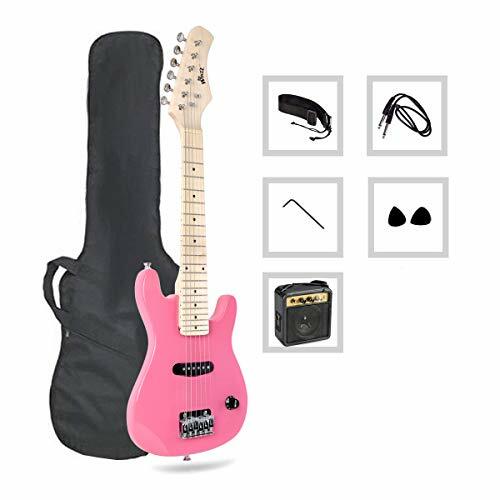 Accessories include a gig bag, cable, strap, 2 picks, amplifier, and a wrench – everything your child needs to get started!